Growing your own vegetables could be fun and help you get the freshest greens to your dining table, but not everyone has the luxury of space to have their own vegetable plot at home. 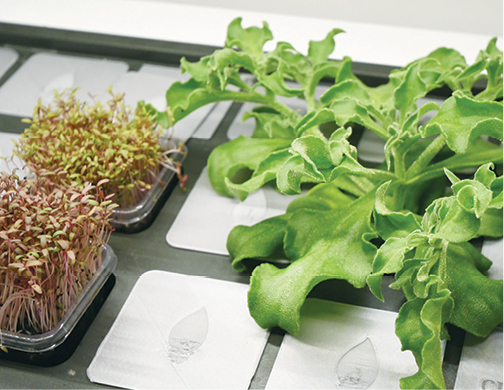 However, with the hydroponic system, city dwellers could enjoy harvesting their own vegetables even with limited space. With rising concerns over food safety and security, planting your own vegetables makes perfect sense and City Farm co-founder Jayden Koay believes that growing your own food at home will be the trend of the future for urbanites. “The best way to keep your vegetables fresh is to keep them alive. The best is to pluck the vegetable, cook and serve it straightaway,” he tells EdgeProp.my. 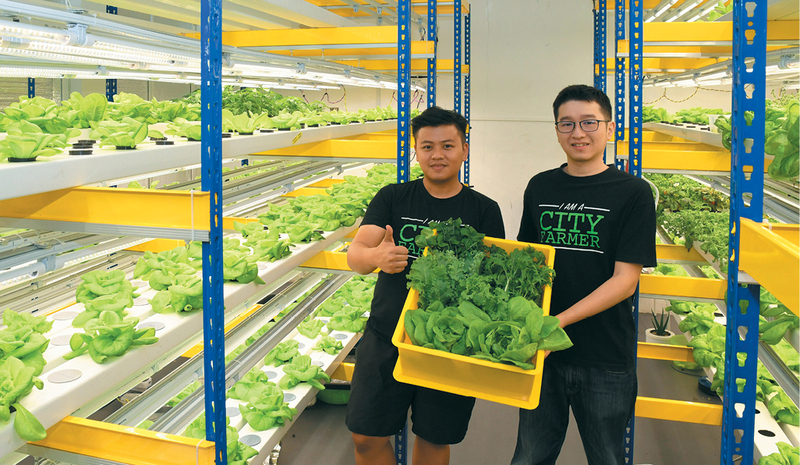 The two-year-old City Farm was initially established to offer fresh vegetables to the public but has evolved into a solutions provider to urbanites who want to become “city farmers”. The outfit was formed by three electrical engineering graduates from the Malaysia Multimedia University including Koay. Growing their own food was first a hobby but quickly turned into a business. They believe that with the right knowledge and equipment, everyone can be urban farmers. Unlike conventional planting, hydroponics is a soilless cultivation method of growing plants in a water-based and nutrient rich solution as well as other inert medium such as rockwool, clay pellets and peat moss as a support to the roots. Koay notes that the traditional way of using soil could cause soil contamination in the long run, due to the use of pesticides and chemical fertilisers. A polluted plot of land could take around 20 years to undergo natural soil treatment. “As population grows and new agricultural land becomes scarce, fresh produce will be less and the quality of the produce will degrade. We will then be heavily exposed to preserved vegetables and processed food but all these can be avoided if we could self-supply,” he says. The challenge in maintaining a vertical farm is in ensuring the quality of the water; hygiene management; and pest control. The hydroponic method may be cleaner and easier to manage than soil planting but it could still attract pests such as mosquitoes and spider mites, hence discipline is required to manage the vertical farm. The seedling transplantation is another tough process as the seedlings are vulnerable to environmental changes and water quality. The ideal environment is a cold yet well-ventilated environment. “Those using the balcony to grow their vegetables could choose the wicking system and opt to grow local vegetables which could stand our hot weather. The balcony is suitable for hydroponics as it has good ventilation,” Koay offers. As for indoor hydroponic systems, air-conditioning and lighting are essential to create a controlled environment. Consumers could choose to plant highland vegetables or micro greens. 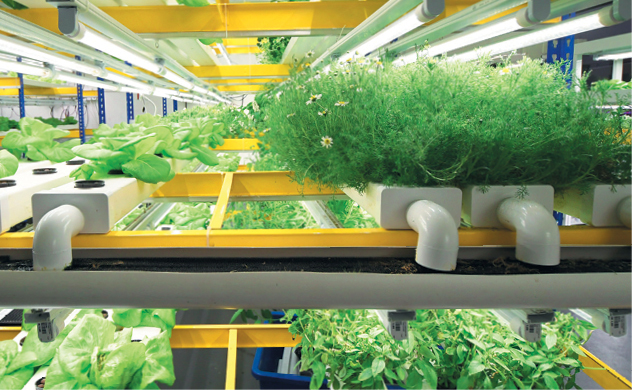 For commercial usage, hydroponic vegetables take about four weeks to harvest, but for self-consumption, the vegetables could be harvested in the second or third week. The common mistake among beginners is the tendency to grow their favourite vegetable from the get-go which are often difficult to care for, rather than easier options. “They will then feel disappointed and give up after a few tries, hence the best way is to start with easy-to-grow vegetables such as Choy Sum, kangkung and Bok Choy as well as herbs such as basil. “They could move on to the more difficult plants such as tomatoes and chili padi or highland plants such as butterhead and chamomile once they are more equipped with experience and knowledge. “So far, butterhead lettuce is one of the most challenging vegetables on my list as it requires extra care and grows slowly. The leaves will easily turn yellow or have burnt tips without proper care, hence the price is higher than other lettuces,” Koay says. According to him, the average cost of hydroponic vegetable planting is around RM40 per pot, including the seeds, nutrients and the reusable equipment. To encourage the concept of “farm to table”, City Farm has collaborated with 12 café operators in providing hydroponic solutions at their eateries, enabling patrons to purchase the fresh vegetables or pick the vegetables for the restaurant to cook on the spot. “Currently, we have completed two vertical farms in two cafes. One is in Petaling Jaya, the other is in Seri Kembangan,” he says. The vertical farm comprises multi-tier shelves of hydro trays with planting pots and LED lighting. It enables the café operators to grow at least 28 pots of vegetables, depending on the type of vegetables. Leafy salad greens such as butterhead, Arugula and Green Coral are the most popular vegetables that consumers will purchase off the rack, says Koay. The vertical farm could also serve as a green wall in the cafe, creating a green and natural indoor environment, he adds. Besides helping restaurants set up vertical farms, City Farm also organises monthly classes teaching city folk to grow their own vegetables. Growing your own vegetables provides the pleasure of reaping the fruit from your labour. It can be fun and you do not have to worry about it being unsafe for your health. This story first appeared in the EdgeProp.my pullout on Sept 7, 2018. You can access back issues here.